Dual-Fuel Diesel Engines covers a variety of engine sizes and areas of application, with an emphasis on the transportation sector. The book provides a state-of-the-art reference for engineering students, practicing engineers, and scientists alike. Ghazi A. Karim has a D.Sc, Ph.D, and DIC from the Imperial College London, UK, and a B.Sc (Hons) from Durham University, UK. He has been a university professor for more than four decades. He is currently a professor emeritus at the University of Calgary, Alberta, Canada, and was previously at the Imperial College London. 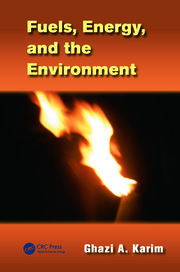 Extensively published, Dr. Karim has conducted research on topics relating to energy conversion, fuels combustion, and the environment. His contributions to dual-fuel engines are especially many. Dr. Karim is a professional engineer, a fellow of SAE and Engineers Canada, and has acted as a consultant to a variety of public and private institutions including numerous engine manufacturers. 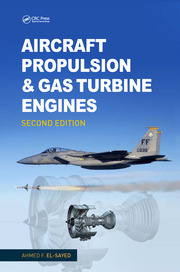 "… a comprehensive and well-integrated review of the relevant fundamentals and practices of the operation of gas-fueled compression ignition engines of the dual-fuel type. 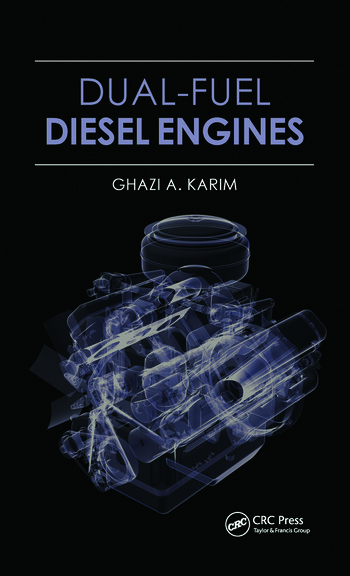 … a very well-written book featuring interesting, reach-in information covering important topics of internal combustion engines not covered yet in a single book. … excellent, up-to-date … a very good and unique source of information on dual-fuel engines for engineering students, practicing engineers, and scientists. 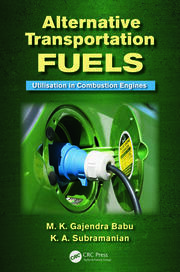 The book reviews the latest and possible future developments in the area of dual-fuel engines."